The true 4×4 RV opens up a world of possibilities! Now with enhanced safety features from Mercedes Benz including blind spot monitoring, collision prevention assist, lane keeping assist and much more! Designed specifically for active outdoor enthusiasts, the all new Winnebago Revel takes a no nonsense approach to adventure with a straightforward design and function-driven features. Taking full advantage of the proven 4×4 Mercedes Benz Sprinter chassis, the Revel’s 3.0 litre turbo diesel puts 325 lbs ft of torque through an on-demand 4WD system, complete with high and low range and hill descent mode for added off road capability. 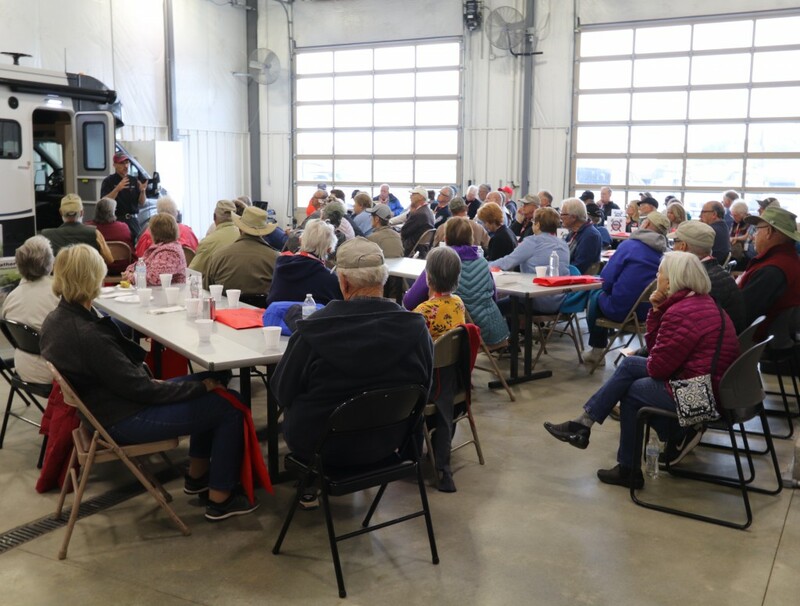 Lichtsinn RV’s November webcast covered the 2019 Winnebago Revel and we received several great questions throughout the webcast. Below we highlighted a few of our top questions. WATCH THE LIVE INTERACTIVE WEBCAST ON THE 2019 WINNEBAGO REVEL HERE. Who are the competitors of the Revel and why is the Revel a better choice? Before the Revel was launched, consumers relied on third-party van outfitters like Sportsmobile to build campervans like the Revel. 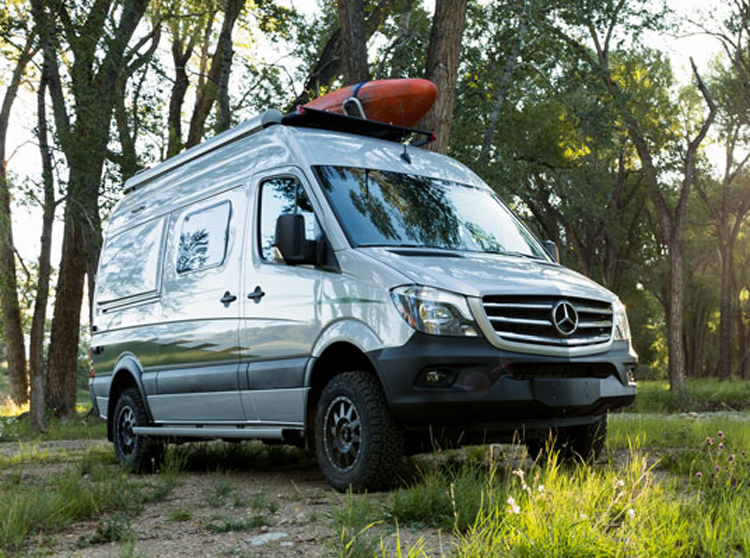 With third-party van outfitters, consumers would have to purchase the van body from a Mercedes dealer then they would have to take it to a third-party van outfitter to do a custom van conversion. These custom conversions took a significant amount of time to complete typically up to a year. Consumers also ran into difficulties purchasing the customized van because there were not options to finance the vehicle like there are with the Winnebago Revel. Consumers were having to take a loan out to purchase the van and then wait and take out another loan for the upfit. 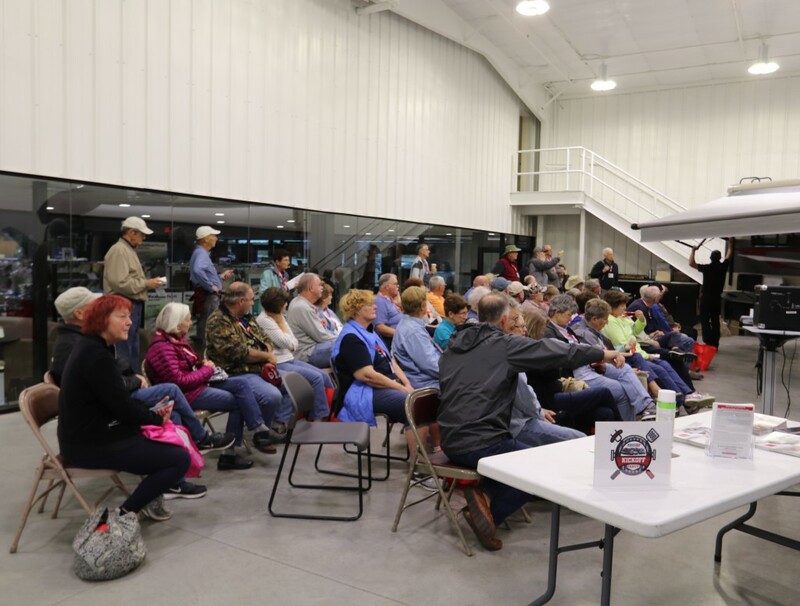 The Winnebago Revel solved that problem because it is a recreational vehicle so consumers are able to take advantage of RV financing. Is the Winnebago Revel a four season RV? It is absolutely four-season capable due to the four wheel drive, espar heating, and insulation. 20% Tougher Sidewalls: Featuring Proven CoreGard Technology to take on the toughest road hazards with confidence. Longer Treadlife to extend your adventure. Aggressive All-Terrain Traction to confidently get you where you want to go. Espar Heating: The diesel-fired heating system provides continuous, unlimited hot water that will heat the coach, and the holding tanks to keep them from freezing. 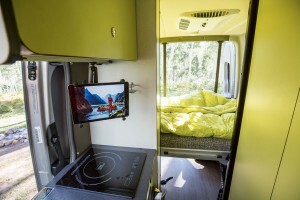 Insulation: Winnebago Industries has partnered up with the same component manufacturers that General Motors, Mercedes Benz and The Ford Motor Company has used, using Automotive Grade Foam Insulation. This insulation has an R-rating of 4.4 per sq inch so it won’t settle as you are going off-road or off the grid. It also does not maintain odor and is built to provide the same R-value for the lifetime of the vehicle. This insulation meets automotive fire and safety standards. The insulation is engineered for noise reduction and thermal insulation and is not susceptible to moisture retention or mold. Has the Diesel-Fired Hydronic Heating System always been on the Winnebago Revel? Yes, it has been on the Revel since the introduction. You can learn more about the Espar diesel-fired hydronic heating system here. What kind of wheels do you get if you don’t get the upgraded wheels, and what does Lichtsinn RV see guests ordering? Lichtsinn RV stocks all our Revels with the upgraded performance wheels and BF Goodrich® T/A® KO2 all-terrain tire. You can learn more about the upgraded wheels and tires here. If you don’t get the upgraded wheels you will get 16″ painted steel wheels with stock tires. Can Lichtsinn RV add Alumniness racks? Yes, Lichtsinn RV partnered with Aluminess to install the specialized racks. You can see them here. Can you add an Easy-Start to the optional Coleman-Mach Air Conditioner in the Winnebago Revel? An Easy-Start is an aftermarket accessory that works with the Coleman-Mach air conditioning system that allows you to use a lower wattage, lighter portable generator to power the air conditioner. However, with the easy-start when you fire it up it is a maximum draw and takes more power to start up than a larger generator like the Honda 2,000 generator which is what we see on most RVs. What are the off-the-grid capabilities with the batteries in the Revel? The Revel comes with three deep cycle AGM absorbed glass mat maintenance free RV batteries, with a 315 AMP hour bank. When our guests are camping off-the-grid they aren’t using the batteries as much and are relying on the diesel-fired hydronic heating system which is extremely efficient. What are the differences between the 2019 Winnebago Revel and the 2018 Winnebago Revel? WATCH THE 2019 WINNEBAGO REVEL VDP HERE. Lichtsinn RV, America’s closest dealer to Winnebago Industries, has been named Top North American Winnebago Dealer by Winnebago Industries for the last four consecutive years. We proudly sell New RVs manufactured by Winnebago Industries as well as Used RVs. See our Winnebago Revel inventory here. 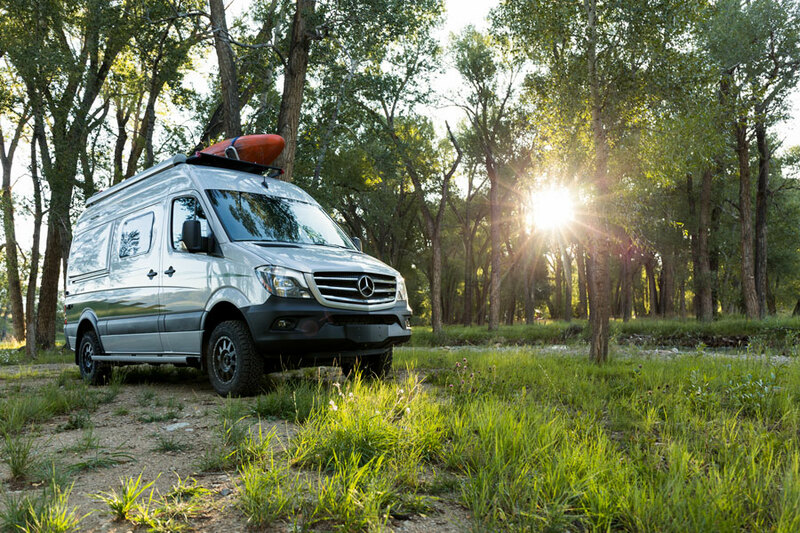 Best known for its larger motor homes, Winnebago has surprised the RV world with the introduction of its Revel 4×4 camper van — a Mercedes Benz Sprinter-based rig outfitted for rugged outdoor sport and camping trips. The Revel 4×4 is designed to take you and your bikes, skis, climbing equipment, backpacks or other gear out into the backcountry while giving you a comfortable retreat to rest those achy muscles and bed down for the night. Notable for its straightforward design and function-driven features, the Revel is powered by Mercedes’ 188-horsepower, 3.0-liter, six-cylinder turbo diesel engine. It pushes 325 lb.-ft. of torque through a five-speed automatic transmission to all four wheels via an on-demand 4WD system, complete with high/low range gearing and hill descent mode for added off-road capability. Other features include electronic stability, traction control and four-wheel ABS braking. BF Goodrich T/A KO2 all-terrain tires provide the needed grip to deal with rough terrain. 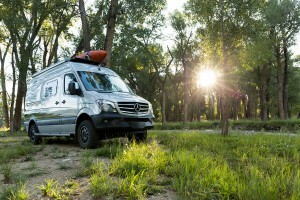 While Winnebago pioneered the use of Sprinter-based road-touring vans, this brawny off-road-capable model, with a relatively short 144-inch wheelbase (19.5 feet overall length) and almost 6 inches of additional ground clearance, is definitely aimed at expanding the market to reach a younger, sports and adventure-oriented crowd. 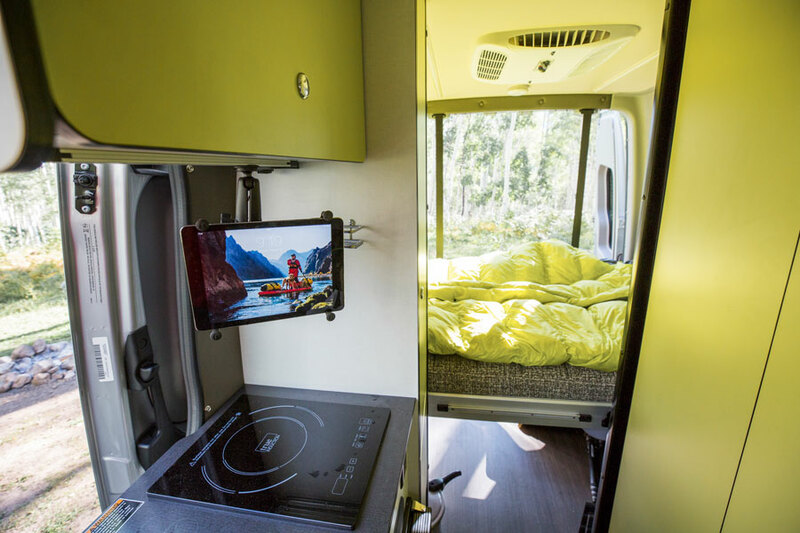 The Revel features an innovative rear-mounted power-lift bed that lifts away to the ceiling to clear out a 140-cubic-foot (4 square-meter) gear garage for bikes, boards and backpacks. Double doors provide for easy loading, and six removable cargo tie downs can be implemented to help keep everything in place on bumpy terrain. At night, the 49-by-79-inch bed lowers down at the push of a button. Off-the-grid adventures are aided by a 200-watt roof-mounted solar-powered electrical system (no LP gas or 110V power required) tied to three 105Ah deep-cycle AGM batteries to power onboard equipment. Also roof-mounted is a low-profile, high-efficiency 13,500 BTU air conditioner. Continuous, unlimited hot water comes via an Eberspaecher hydronic heater with a diesel burner. It draws from the main diesel fuel tank to heat a glycol mixture that circulates through heat exchangers for both coach heat and continuous hot water. This system also heats freshwater and gray tanks in subfreezing conditions. Additional outside features include a roof rack with a moveable ladder that allows access from various locations around the coach. 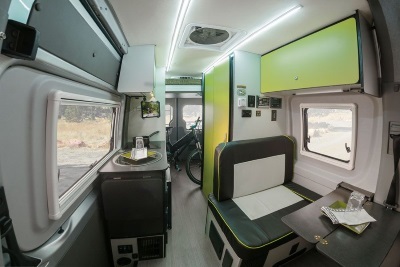 Other neat pluses include an electric awning with built-in LED lighting and a wind-retraction system, side and rear screen doors and an exterior hot/cold shower. Burly on the outside, the Revel’s interior features all the typical motor home amenities. A galley and wet bath are located across from one another, just in front of the rear bed. The all-electric galley features a glass-covered single-burner induction cooktop, 2.5-cubic foot compressor fridge/freezer and a stainless-steel sink with a waste filtration system. Also, part of the galley package includes a flip-up countertop extension, spacious storage drawers and a pantry. Up front, a folding dinette table pulls up between the front-facing bench and rear-swiveling cab seats. The table/seats also can be converted into a single bed. Standard cabin features include a 6-inch touchscreen infotainment system, rear-view camera, adjustable front seats with armrests and lumbar support, and keyless remote entry. A JBL premium sound system and 9-inch infotainment center with Rand McNally RV GPS, Sirius XM radio and Bluetooth are available as an option. With a base price of $134,799, the Revel may be out of the question for #vanlifers hoping to do things on the cheap — but it is a well-designed, top-quality off-road/off-grid package that looks to be just the thing for those who can afford it. Winnebago Revels Now In-Stock at Lichtsinn RV! For the first time in over a year, Lichtsinn RV has in-stock Revels available for purchase now! See our in-stock Revel inventory here. 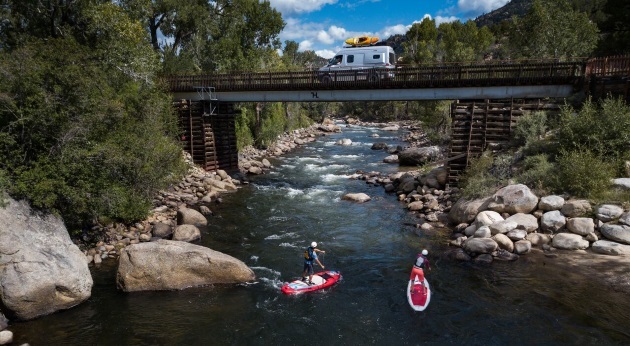 Designed specifically for active outdoor enthusiasts, the all new Winnebago Revel takes a no-nonsense approach to adventure with a straight-forward design and function-driven features. Taking full advantage of the proven 4×4 Mercedes Benz Sprinter chassis, the Revel’s 3.0 litre turbo diesel puts 325 lbs ft of torque through an on-demand 4WD system, complete with high and low range and hill descent mode for added off road capability. 5. On-demand 4WD with low range, to selectively stop individual wheels if wheel spin is detected. The system can be safely driven on dry pavement without the risk of damaging differential locks. 5. Exterior graphics delete for a stealth like exterior. 3. Continuous unlimited hot water heater via the hydronic Espar heat and hot water source. The diesel burner uses the main diesel fuel tank to heat a glycol mixture that is circulated thru heat exchangers for coach heat, and flow adjusted continuous hot water. This also then heats the freshwater and gray tanks in subfreezing temps.